Atlanta-based home furnishings marketer Shaw Floors says the automated ad platform connected it to mobile customers at neighborhood outlets across the country. Promoboxx is enhancing its primary offering with Local Ads, as the automated marketing platform is working to give its national brand and local retail clients the ability to instantly target ads across Facebook, Google Search, and mobile display to get first-time customers to walk into a store to shop. The company just completed a pilot program for Local Ads and is now making it a permanent part of its core offerings, said Alexandra Laird, Promoboxx’s director of Advertising. Promoboxx Local Ads extends its dynamic creative, geo-targeting, and media mix choices to local retailers for the express purpose of attracting nearby customers on mobile devices and generating in-store purchases. “The existing product allows brands to provide content to retailers, which is then easily shared with the store’s existing customers: fans, followers, email contacts, etc.,” Laird said. “However, it is crucial that brands also support retailer efforts to drive awareness and foot traffic among new customers, which is where the Local Ads product comes in. “The Local Ads product programmatically taps into geo-targeting data provided by integrated search, social, and display publishers including Facebook and Google. When combined with Promoboxx’s robust retailer location data, this enables Local Ads to target only people near each storefront,” Laird added. Atlanta home design brand Shaw Floors has been working with six-year-old Boston-based Promoboxx for the past few years. The flooring and interior furnishings provider was looking to cut through the noise of the busy holiday season and leveraged Local Ads for its Holiday Savings Event campaign to spark consumer attention and drive traffic to its local affiliates. The promotion revolved around offering consumers “0 percent interest for 24 months on purchases with a Shaw Floors credit card” and was intended to anchor its wider local marketing programs that were kicking off on Black Friday. The ads were a mix of co-branded mobile display and Facebook placements that were targeted toward a group of select Shaw retailers by Promoboxx. By the time the campaign ended before New Year’s, the seasonal promotion resulted in 100 percent retailer participation. It ultimately drove 9.6 million “high-quality Facebook and mobile display impressions” to local consumers’ smartphones. Consumers who clicked were led to a co-branded landing page that showcased both the offer and the local flooring retailer. Shaw Floors reported that the campaign significantly surpassed CTR goals, outperforming previous campaigns by eight times. 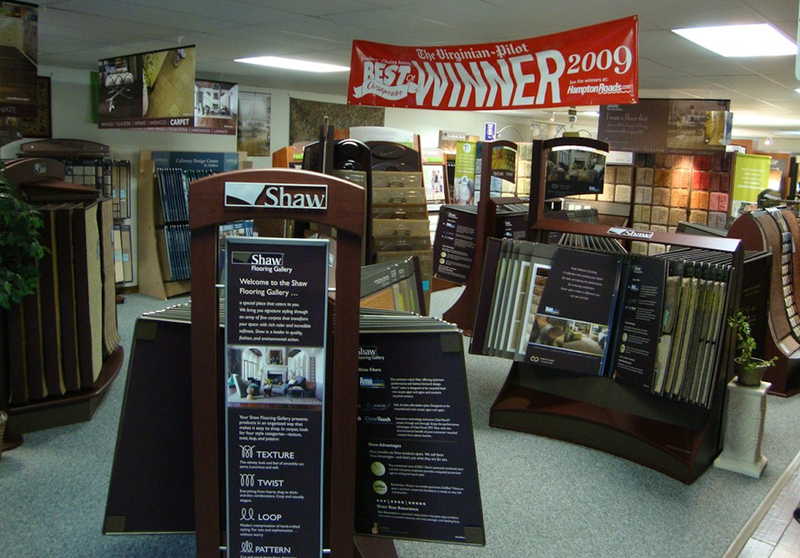 “Local retailers need support in the always-evolving world of digital marketing, and we were excited to empower our independent retail partners with Promoboxx Local Ads,” said Todd Callaway, Shaw Floors’ director of Digital Content. In a larger sense, the ability to bring in new customers during the all-consuming, ultra-competitive holiday season is meant to present Promoboxx’s offerings as an alternative to co-op marketing programs between national brands and local shops. In general, retailers in a co-op program essentially get an “allowance.” And in many programs, if the retailer doesn’t spend that allowance, it just “goes away” and can’t be extended beyond the agreed upon marketing period. That often breeds a sense of panic at the retail level, where there is an urgent rush to spend that co-op budget.